Time: 5:45pm assemble, 6:00pm session begins. Logistics: Abundant parking in the lot behind the Hilton and beside the Convention Center. Enter the rear of the Convention Center. The Bosque Theater auditorium is visible as soon as you enter the building. A table is present near the entrance doors of the Bosque. Fill out a request to speak form, and note that you do not have to be a Waco citizen to speak. Then you may enter the theater. 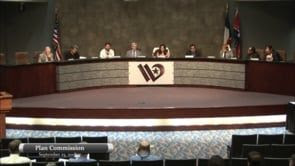 After a usually short business session, public comment is allowed. Rationale: The Sustainability Board on Feb. 7 approved a letter which contains most of "Go Renewable Waco" recommendations for decarbonization of the City. Our information now is that "renewable energy" is on the Council agenda for Feb. 19, presumably at the Working Session at 3pm. I will attend this Session and be able to evaluate exactly the response to the Sustainability Board recommendations. Regardless, this is the perfect time for Waco FOP/C to have many members speak in support of decarbonization, This will be a first and I think that Councilpersons hearing from many citizens will be powerful. Speaking: We encourage all members and supporters to speak. However, if you are not comfortable speaking, your attendance and moral support is also vital. Students are especially welcome to participate. After the business, the mayor will call out names from the paper slips we filled out. Speakers will proceed to the front of the auditorium and use the podium. Be sure to speak close to the microphone so everything said may be heard. It is absolutely fine to write down your statement and read it, especially given the short time of 3 minutes. A yellow light warns of time almost up, and a red light indicates end of 3 minutes. Times are enforced. Please rehearse your statement so that it is 3 minutes or less. CRUCIAL: please stay on the topic of decarbonization of Waco, the climate change emergency, the switch to renewable energy. Important points may include: the fact that anthropogenic climate change is a global emergency, the science says we must reach net zero emissions by 2050, personal experiences, experience with solar and wind power, concern for the future of our children, the fact that the technology to decarbonize DOES exist today, the City must act as slashing emissions is said to be mankind's greatest challenge. Dinner: Per our custom, dinner will be provided at a nearby restaurant after the session. Vegan available. Summary: Speaking from 1 to 3 minutes, with adequate time in advance to prepare, should not be threatening to most members. But the presence of a series of speakers, all committed to climate change action, should be a powerful statement to the Council at this critical moment. So PLEASE JOIN US.